Hanukkah is the Jewish holiday known as the festival of lights. 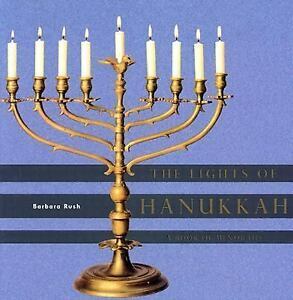 This book portrays Hanukkah menorahs from all over the world, dating from 4th-century Israel to modern-day America. It discusses the history and culture of Hanukkah, and it includes songs, prayers and readings of the holiday. Over the centuries, the Hanukkah menorah has been created with artistry, passion, hope, and humor. "The Lights of Hanukkah"Us 62 color photos and accompanying text explore Hanukkiah's arts and crafts from every corner of the world.